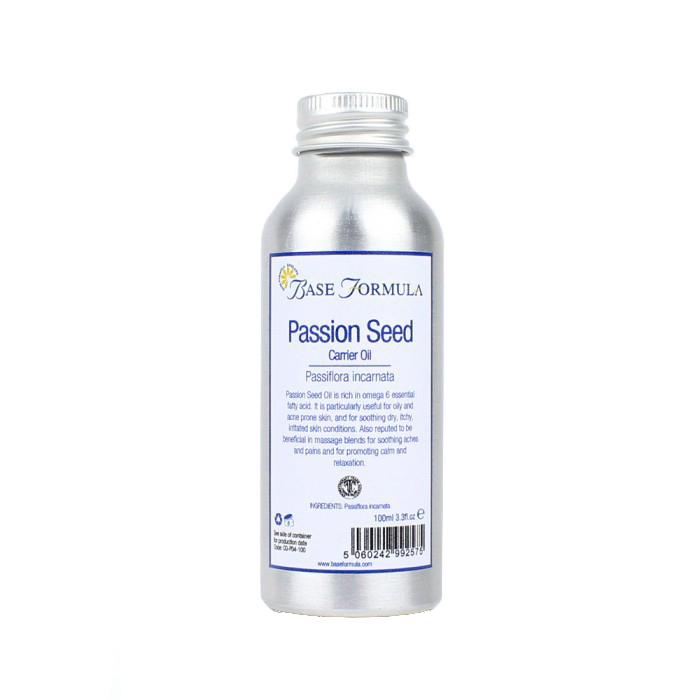 Passion Seed Oil is rich in omega 6 essential fatty acid. 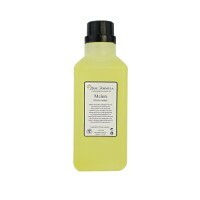 Good for oily and acne prone skin, and for soothing dry, itchy, irritated skin conditions. Also believed to have pain-relieving, anti-inflammatory, anti-spasmodic and sedative properties. Passion (Passiflora incarnata) Seed Oil, also known as Maracuja Oil, is expressed from the seeds of the passion flower. 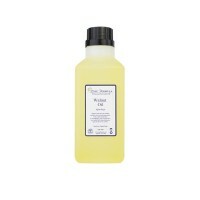 It is a light, non-greasy oil that absorbs readily into the skin. Passion Seed Oil contains high levels of vitamin A and C and omega 6 essential fatty acids (linoleic acid) which helps to nourish, protect, hydrate and maintain younger looking skin. As well as its emollient properties the oil is believed to have antibacterial, anti-inflammatory, and anti-itch properties that make it particularly useful for acne prone and dry, itchy, irritated skin. It is also thought to reduce sebum production in oily skin types. In addition to the above, the oil is reported to have analgesic, anti-spasmodic and sedative properties that may be helpful in massage blends for muscular aches, pains and swelling, and for promoting calm and relaxation. 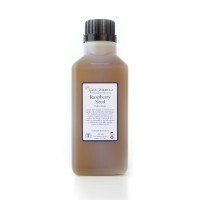 Passion Seed Oil can also be used to soothe an itchy scalp and nourish dry, brittle, damaged hair.